The situation with your nephews is a “teachable moment.” Capitalize on the opportunity it presents to teach your sister’s boys about respect and your children how to stand up to teasing. If you witness the interaction, speak with your nephews directly. Tell them that making fun of people’s differences isn’t something you tolerate. Remind them not to make jokes that perpetuate stereotypes. Explain that respecting your choices doesn’t mean that the choices need to be theirs. Offer to answer their questions about Jewish traditions or education. 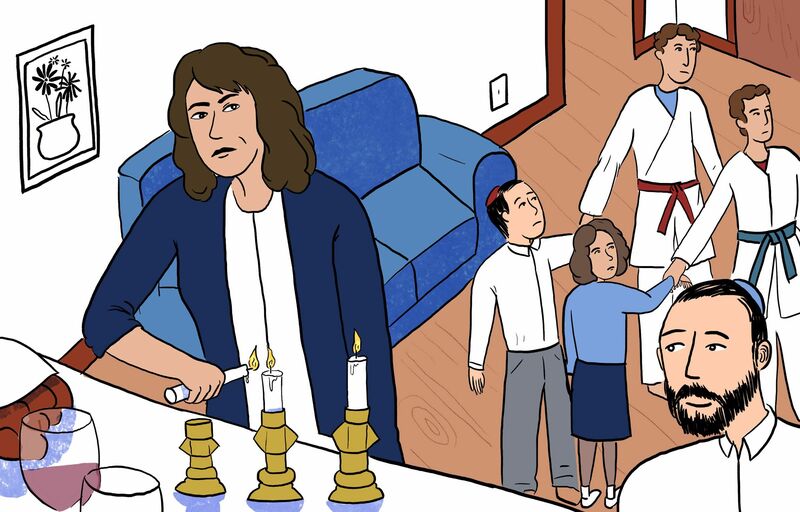 Invite them for Shabbat so that they can learn about the celebrations that aren’t part of their home. Inform your sister about the incident and how you addressed it. If you don’t witness the heckling, talk to your sister about what is happening. Focus on the issue of respect. Don’t discuss her children’s lack of Jewish education. Tell her that the comments seem like harmless fun, but they are disrespectful and intolerant of your practice. Ask her to speak to her children about respecting differences within the family and to model acceptance of your family’s different traditions. Recognize that the teasing is an opportunity to discuss with your children and nephews the ethical challenges present in everyday life, and to teach them valuable moral lessons. Jane Larkin is the author of “From Generation to Generation: A Story of Intermarriage and Jewish Continuity.” She writes about interfaith relationships and Jewish living for Interfaithfamily and other outlets. She is a member of the board of directors of Big Tent Judaism. Follow her on Twitter @JaneLarkin6.